If you have a New Year's resolution to organize your digital life, then this deal at Best Buy can help. The big-box retailer is selling a WD 8TB easystore desktop external hard drive for $160. That's not quite as cheap as during Black Friday last November, but it's still a good price for this amount of storage. 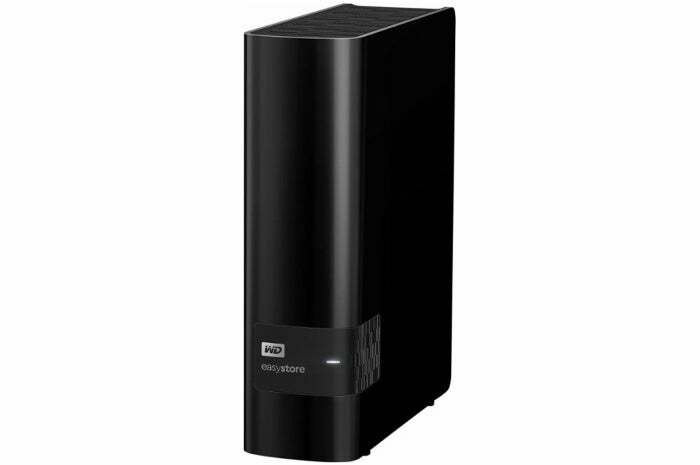 The WD easystore desktop hard drive offers a USB 3.0 connection with a maximum data transfer rate of 5Gbps. It also comes with WD's software, including an automated backup utility and WD Drive Utilities, which helps you manage your new drive. It comes formatted in NTFS, which is perfect for Windows-only homes, but anyone with a Mac or Linux box will probably want to reformat it as FAT32. Since this is a desktop external drive, you'll need to plug it in the wall with the AC adapter to keep it chugging along. As for its footprint, this drive is 6.7 inches high, 1.9 inches wide, and it weighs nearly 2.25 pounds.